Glyphosate is an important tool for reforestation of harvest sites where a temporary reduction of competition is needed to re-establish forest cover. Controversy with respect to human health and glyphosate use are clouding the benefits of this silvicultural tool. Dr. Len Ritter, Executive Director Emeritus of the Canadian Centre for Toxicology and member of the recent World Health Organization Joint Meeting on glyphosate will speak on glyphosate and human health. To provide context Dr. Ritter will also discuss the toxicological evaluation standards and protocols for pesticides in Canada. Anyone interested in forest management and the recent controversy around glyphosate toxicity to humans. The price for this course is $52.50 (GST Included) non-refundable. It is sponsored by the Forest Resource Improvement Association of Alberta. Registration will close March 29, 2019. 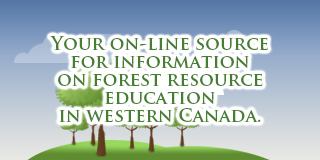 © 2016 Woodland Operations Learning Foundation. All rights reserved.